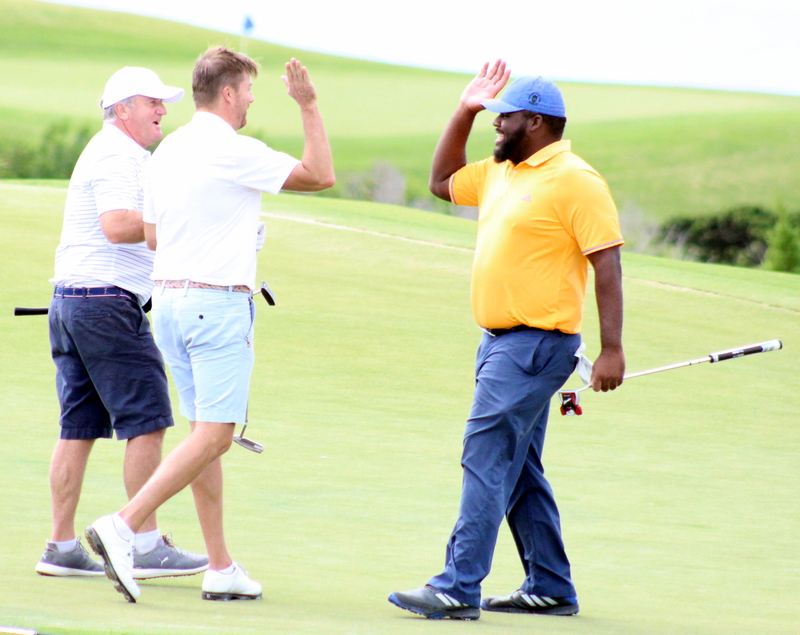 The Bermuda 3s World Team Championship continued, day two saw the golfers tackle the Port Royal Golf Club. In the Pro Division overnight leader Peter Gustafsson shot a 9 over par 80 to drop to T5th, the new leader is Simon Lilly who shot an Even par and he leads by one stroke +2 over Cary Sciorra, Dane Barrick is a further 2 strokes back and Bermuda’s Daniel Augustus is at 6-over par. The Medalist Golf Club would appear to have the Gross team title sewn up as they have a 2 Round score of 3-under par, with three teams The Cliffs at Mountain Park, NiitvÃ lja GC and Wentworth by The Sea Country Club are all tied second at 11-over par.